Terraced house "Branko", 2 storeys. In the centre of Sv. Filip i Jakov, in a quiet, sunny position, 100 m from the sea, 100 m from the beach. 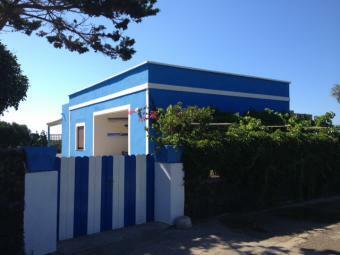 Private: property 50 m2. Barbecue. In the house: internet access, washing machine. Parking (for 2 cars) at the house on the premises. Shop 30 m, restaurant 50 m, pebble beach 100 m. Golf course, tennis 150 m, walking paths from the house 200 m, cycle lane 150 m. 3-room terraced house 120 m2 on 2 levels, south-west facing position. 2 rooms, each room with 1 bed (90 cm, length 200 cm), 1 french bed (160 cm, length 200 cm). Shower/WC. Upper floor: living/dining room 40 m2 with satellite TV (flat screen), air conditioning. Exit to the terrace. Open kitchen (4 hot plates, oven, dishwasher, freezer, electric coffee machine). Sep. WC. Terrace 35 m2. Terrace furniture. Facilities: safe, baby cot. Internet (WiFi, free).